The European economy was stagnating in 2014. A number of the major economies in the region were on the verge of recession and deflation was haunting the continent. Austerity was being pursued with a vengeance in a number of countries, in an attempt to pay down debt and bring national budgets back into balance. Unemployment stubbornly refused to move down with joblessness among European youth approaching 50%. Economic growth meager at best, was limited to just a number of countries that had managed their fiscal affairs cautiously and new investment was lagging. The answer to the problems of Europe according to a number of leading economists was stimulation through even lower interest rates and of course, quantitative easing. 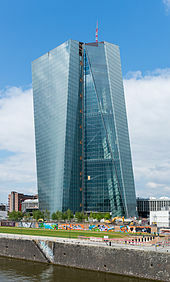 Beginning last month the ECB (European Central Bank) began buying government bonds worth about 60 billion Euros a month, the equivalent of $64.37 billion USD (United States Dollar). These combined with other asset purchases will continue until at least September 2016 and will total 1.1 trillion Euros or ($1.3 trillion USD). The Seat Of The Central Bank In Frankfurt. 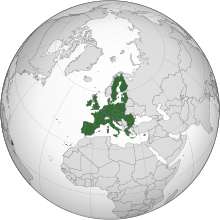 19 Of The 28 Member States Of The Union Have Adopted The Euro As Their Legal Tender. Over German objections, this was the latest move spearheaded by Mario Draghi the President of the ECB. One of the main ECB interest loan rates, had already been pushed below zero last year. It was the first major central bank, to ever try such a risky financial maneuver. The key interest rate remains at 0.05% for most commercial activity. As a result, the Euro did tumble in value to the lowest conversion rate in a decade. Yields on a number of government bonds, soon dipped below into negative territory as well. Asset backed securities were already being purchased in the fall of 2014. The latest move merely provides even more monetary stimulus, to the mostly economic stagnant nations of the 19 member Euro-zone and the surrounding periphery. The member nations collectively saw a growth rate of just 0.03% in their GDP (Gross Domestic Product) in the last quarter of 2014. However, this was mostly due to the more rapid growth in Germany. The ECB has raised the rate of projected growth for 2015 from 1% to 1.5%, within the common currency zone. The optimistic hope is that the economy will be expanding in excess of 2% by 2017. 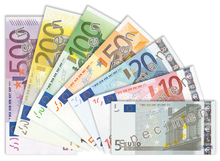 The Euro Was Introduced In 2002, Replacing 12 National Currencies. Seven Countries Have Since Joined; The Latest Entrant, Lithuania,In 2015. This might well be possible if members in the Euro-zone would use this respite, to move towards restructuring their domestic economies. Reforms are needed to allow more investment and business expansion to take place. This unfortunately, is not happening. Strictly using monetary policy as a substitute for policies of reform in the pursuit of growth, is not going to work well in the long run. Another issue that concerns a number of financial managers, is whether there will be a sufficient supply of government bonds to purchase, as the ECB swells its balance sheets over the next 18 months. Future bond purchases will mostly crowd out private investors, since rates for a rising number of countries will be pushed into the negative interest territory. Another concern is the ongoing crisis with Greece. The new government in Athens is attempting to play for time, but it in reality the uncertainty is undermining investor confidence in the Greek economy. 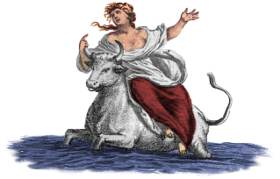 The Greek people voted for a change in government, in the mistaken belief that the policies of austerity could then be abandoned. Although the previous more conservative leadership finally brought the country back to a primary budget balance, the awaited turn around in the Greek economy was not fast enough to satisfy Greek voters. The people of Greece have now witnessed their new government empty their pension funds first and now launch a raid on municipalities, in order to repay the IMF (International Monetary Fund) that has refused to extend the deadline for loans that are now due. The end game has now arrived. 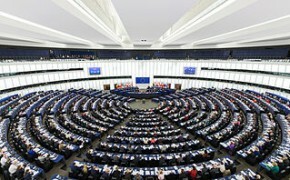 Either the government complies with the demands of their creditors or Greece will be forced into default. Europe Day In Warsaw, Poland, A Celebration Of The European Integration And Peace Between The European Nations. The Greek public wanted to believe what was not possible. The new government now in power for less than 3 months, had promised lower taxes and a large increase in social spending. The drop in revenue alone would make Greece insolvent. The truth is the country simply does not have the money to repay loans that were taken out to keep the country afloat during the economic crisis in 2008 and 2009. These debts has become necessary, because previous Greek governments had spent lavishly on social programs and pensions that were just not affordable. Greece is not alone. France had been given a reprieve on bringing its budget deficit back into line with EC (European Community) rules already in February. The extension is until 2017, for France to bring the annual government shortfall below 3% of GDP. The problem here is that France has already received 2 extensions since 2009, first under the presidency of Nicolas Sarkozy, and another one under the current President Francois Hollande. Even the most optimistic analysts predict a rate of 3.8% shortfall for 2015. It matters since France has the 2nd largest economy in Europe. The French economy grew by 0.04% in 2014, the same rate of growth as in 2013. New factory orders are now at their highest level since 2011, but actual manufacturing output is still falling as it has for the last 10 months. The bottom has probably been reached as evidenced by the aforementioned statistics concerning future orders. In Italy the regions 3rd largest economy, the hope is that 2014 saw the end of the recession. The Italians have not seen growth since the 2nd quarter of 2011. The projected GDP increase for Italy in 2015 is just 0.6%. This will be the 2nd lowest rate of growth among the 19 members in the Euro-zone, only Cyprus is economically more sluggish than Italy. Unemployment in excess of 12.5% and the ongoing decline in consumer prices, will make this task more daunting. Spain is the 4th largest economy in the common currency area. Here the situation is much improved in comparison with other countries in Europe. The economy is projected to grow 0.08% in the 1st quarter, twice the rate as in most other countries. Lower consumer prices in Spain are finally bringing about a return of domestic demand. The yearly growth projection is 2.8% for 2015 and 2.7% in 2016. This makes the country the exception to most of Europe. 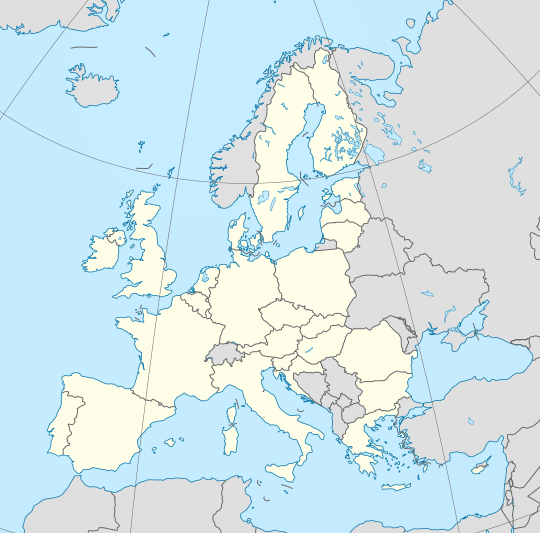 Unlike many other regions of Europe, the Spanish economy grew 1.4% in 2014. This was the first growth that the country experienced since the real estate collapse in 2008. The biggest concern in Spain is the unemployment rate, which was 24% at the end of 2014. The jobless rate is projected to decline to 22.2% this year and 20.5% next year. Youthful unemployment especially, has remained stubbornly high at over 50%. Last month business activity in the Euro-zone grew at its fastest rate in 4 years. This was mostly due to the increase in new factory orders. Employment also grew at it fastest rate since August of 2011. In addition, deflation is slowing as added costs are finally being passed on to consumers. In Germany business orders are hitting a 9 month high. As the largest economy in Europe and the 4th largest in the world, what happens here is crucial to a general overall recovery of growth. Factory output is nearing a yearly high with added strength in the service sector as well. The German economy grew twice as fast as was expected in the last quarter of 2014, at a stellar 0.07% rate. The question now is will this spurt continue in 2015? The first quarter of 2015 saw GDP growth moderate in Germany to 0.05%. However, German investor confidence unexpectedly fell for the first time in 6 months. Many analysts suspect this is due to the uncertainty of the Greek debt crisis. A relatively stable labor market with an increase in real wages, will help boost internal demand. German employment is now at a post reunification high with 43 million engaged. This will be important as a slowing world economy may well prevent a further expansion of German exports (3rd ranking globally),which hit a record in 2014. The German stock market (the Dax) is at an all time high, with the expectation of growth of at least 2% this year in Europe’s most successful economy. One other important aspect is that the German government is projecting a balanced federal budget in 2015. Germany is one of the few advanced countries in the world that will actually begin to reverse the accumulation of debt. Although not part of the Euro-zone the United Kingdom has also been doing rather well. Growth in 2014 was 2.6%, the fastest in the G7 (the 7 largest economies in the advanced world). Economic expansion is projected to slow in 2015 to 2.5%, but it will remain one of the fastest growing economies in Europe. Only in the United States and Canada, are economists viewing 2015 growth to be in excess of 3% among the G7 nations. The British economy is going to slow somewhat in 2015, because of slowing demand for their exports on the European mainland. There is also a continuing fiscal compression caused by previous years of profligacy with the bills now coming due. On the positive side inflation will remain below 2%, allowing for a return of real wage growth. Unemployment is expected to continue to decline ending up near 5% by the end of the year. The present government is forecasting a 2 trillion pounds ($2.98 billion USD or 2.78 billion Euros) economy by 2017, giving the United Kingdom the 5th largest economy in the world. Economic activity in the region is being propelled by low oil prices, a weaker currency and the ECB monetary stimulus through quantitative easing and over financial methods to encourage further growth. An additional impetus of growth is the somewhat reduced pressure of fiscal deficits, which are a product of the previous years of austerity in a number of countries. The recovery in Europe as a whole though remains fragile. Oil prices may not remain at their present price range. Although the Euro has fallen against the other major currencies of the world, these other countries can now be expected to take steps towards further devaluation. This will somewhat erase the competitive advantage Europe is now experiencing. Quantitative easing has definite limits to what can be achieved. As economists are now witnessing in Japan, it cannot alone restore growth to a moribund economy. The other troubling European issue remains with countries in the zone that have become financially insolvent. Greece is the country that is getting all the recent publicity, but there are others waiting in the wings. Other challenges await Europe as well. Unfunded pension entitlements and medical care will continue to take a larger bite out of national budgets, as will other previous generous social spending. Eventually the public will have to be told the truth, that much of what has been promised by politicians in the past, is not affordable at the present economic growth rates. Demography itself has become an issue in many European countries. No matter how unpopular immigration has become in a number of countries it will become increasingly necessary, as the median working age continues to rise. Europe on the whole is rapidly aging. There will be an increasing need for more skilled and younger workers.